This recipe requires a set of Easter Egg moulds. Using a medium sized microwave-safe bowl, break white chocolate into the bowl and microwave for 2 minutes on high, stirring half-way through. Remove from microwave and stir until chocolate is smooth and lump free. Pour a small amount into each Easter Egg mould and tilt from side-to-side so that the chocolate coats the sides, leaving the centre empty. Place in the fridge and allow to set for 2 hours. 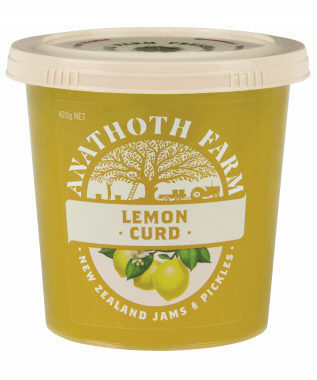 In a small bowl mix equal parts melted white chocolate with Lemon Curd. 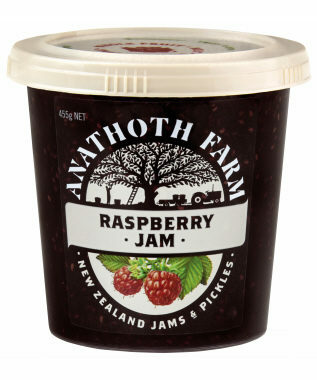 In another small bowl mix equal parts melted white chocolate with Raspberry Jam. Remove moulds from fridge and spoon chocolate mix into the centre. 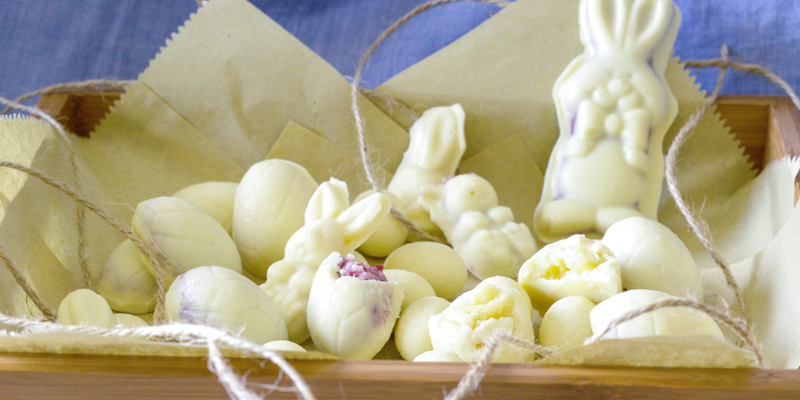 Top each mould with plain melted white chocolate and return to fridge overnight or until set (minimum of 3 hours). Remove from fridge and allow to stand for 2 minutes before carefully removing the chocolates from moulds.